A common question from gardeners this time of year is, "What happened? My petunias have stopped blooming and there are tiny holes in the leaves, flowers and buds." 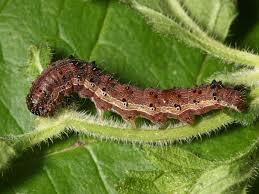 Petunia Budworm is the likely culprit. 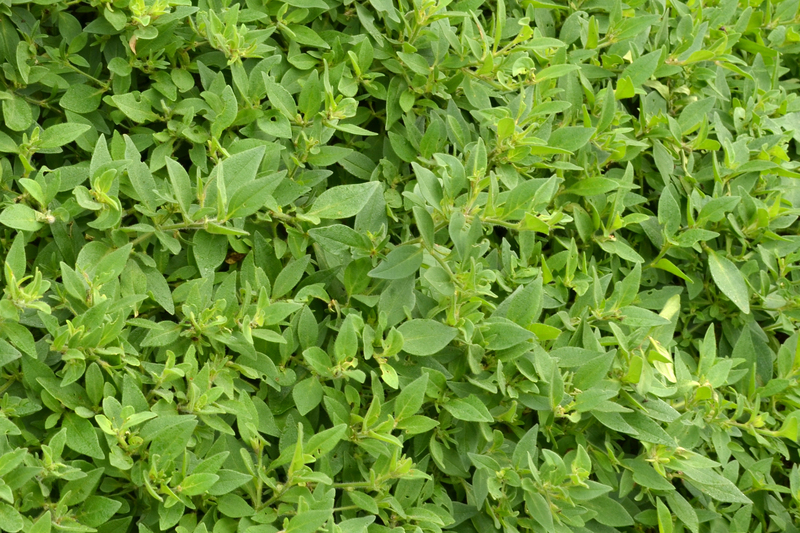 Learn how to combat this flower-robbing pest organically. Every year, gardeners in some parts of the country experience the frustration of Petunia Budworm. Their beautifully blooming petunias quit blooming and tiny holes appear in the leaves and remaining flowers and buds. The problem usually only lasts for about 6-8 weeks, but in some parts of the country it goes on all year long. The insect culprit is Heliothis virescens, commonly known as Petunia Budworm, Tobacco Budworm and Geranium Budworm since it also attacks tobacco and geraniums. This pest starts as a caterpillar and turns into a 1" brown moth that usually flutters around the plants in the evening. The harmless looking moths then lay more eggs each evening, which become caterpillars that start the cycle all over again. The first clue you have a problem is when the flower buds cannot open. The petals may look chewed or have many small holes in them. The caterpillars are small so they can be hard to see, but you'll notice their excrement, which looks like someone scattered little black seeds or ground pepper all over the leaves. Petunias that were once covered in flowers can lose every bloom in a matter of days if the infestation is bad. The simplest and best solution is to apply a non-toxic, caterpillar-specific bacteria called Bacillus thuringiensis. It is sold under the name DiPel® and comes in powder or liquid form. Shake the powder over the leaves, flowers and stems of your affected flowers. When the budworms eat your plants, the bacteria in the DiPel in turn eat the budworms. The liquid spray form can be a bit easier to apply and leaves less visible residue on your plants. This product is absolutely harmless to children, pets and wildlife, but is very effective in controlling any caterpillar damage, so it will work on your tomato hornworms, army worms or any other caterpillar problems in your garden. Just don't use it where you are growing plants like parsley or dill to feed caterpillars as it will also kill those good caterpillars and you certainly wouldn't want that. DiPel will need to be reapplied after every rain or overhead watering. The sooner you can catch the problem, the less damage you will see in your yard. After they ingest the DiPel, the caterpillars will stop feeding within 24 hours and then die. It is simple, non-toxic and works really well! Don't let budworms keep your Supertunia® Petunias and Boldly® or Timeless® Geraniums from looking their best this year. Keep them at bay with DiPel or other brands of Bacillus thuringiensis, found at many garden centers and online. Contributor Bio: Susan Martin is an avid zone 6 gardener, garden writer and speaker who enjoys spreading her passion for plants to her fellow gardeners. Follow her on Facebook @Gardener Sue's News.